Cheap Weekend Fun in Boston for February 7-8, 2015! 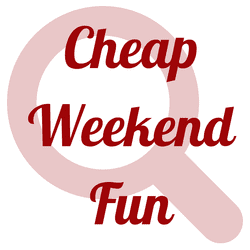 Here’s some fun and cheap things to do in Boston this weekend on a budget! As always, please let me know in the comments below if I missed any affordable Boston events for this weekend. Thanks! Boston Globe Travel Show: February 6-8, 2015 at the Seaport World Trade Center. Check out this Travel Show with demos, travel booths and more! Tickets are $10 in advance and $15 at the door but there are promo codes available for free tickets to the travel show. BCAE Local Love Market: Sunday, February 8, 2015 from 10am to 2pm. Head to the pop-up local market and get some great ideas for Valentine’s day gifts and more! Boston Bridal Bash: Sunday, February 8, 2015 at the Sheraton Boston Hotel. Getting married soon? Meet with various vendors and enter raffles to win some great prizes! Tickets are $15, but Goldstar (affiliate) has complimentary tickets (just pay service fee)! Franklin Park Snow Day: Saturday, February 7, 2015 at Franklin Park from 1-4pm. Head to Franklin Park for a snow day with sledding, snow man making, hot chocolate and more. Free. Winter Wellness Walks: Sunday, February 8, 2015 at the Arnold Arboretum from 1-1:45pm. Take a brisk walk this winter at the Arboretum with a healthy dose of info from a tour guide. Free and geared towards adults. Bank of America’s Museum on Us: Saturday and Sunday, February 7-8, 2015. Bank of America & Merrill Lynch cardholders can get into select museums the first weekend of every month for free by showing their bank card (per cardholder, not family). Museum of Fine Arts, MIT Museum and other museums across the state participate. What are you up to this weekend? Are you ready for more snow?